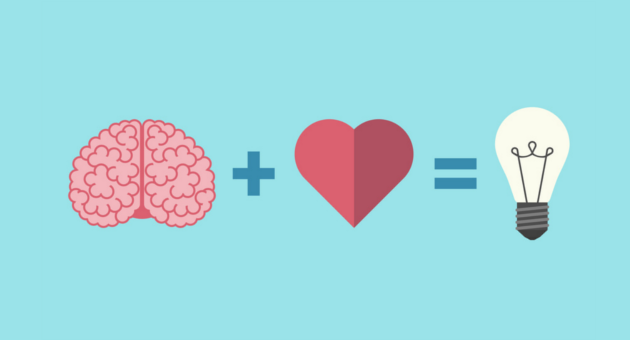 Neuromarketing is the future of marketing. 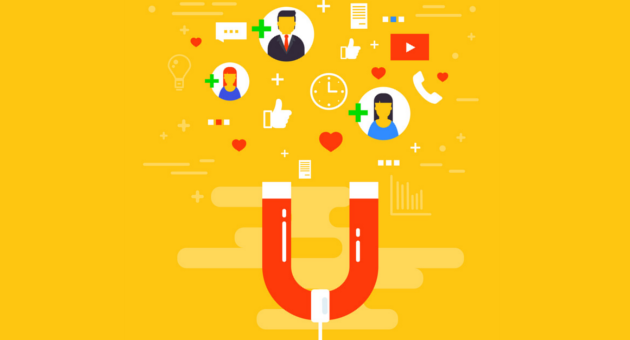 Nowadays, emotional marketing strategies are already very worn out, and you should take another step to continue attracting and enchanting your customers. We can define neuromarketing as a science that studies how the brain behaves during the buying process based on attention, emotion and memory. Purchasing success is currently not determined by the price of the product; there is something even more fundamental. This “something” can’t be monetized; it is an added value that the consumer perceives unconsciously. Neuromarketing tries to explain why. 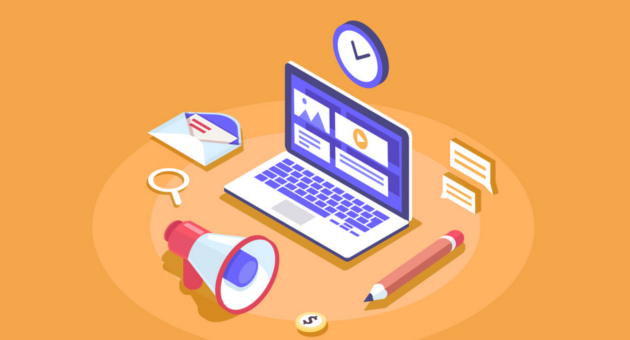 Basically, it’s a mixture of science and marketing that will give you clues to create a successful conversion strategy. This is the first advice I would give you if you want to correctly apply neuromarketing to your strategy. We always say that it is essential to put yourself in the shoes of others, and in this area, that is a must. How will you connect with users if you don’t investigate their thoughts and emotions? The first guinea pig should be yourself. Think of a situation that causes you the emotion you want to arouse in your leads. For example, if you’re going to induce a state of happiness in your audience, you should think about all these situations, words, and stories that awaken this feeling in you. Once you have done the analysis, it is time to understand the interests and preferences of your target audience to adapt these situations and offer the experience they are seeking. Here’s a great example: Imagine you’re a hunting lover, you love to go out on Sundays to hunt with your friends, however, your potential customers are animal advocates. This makes it necessary to adapt this scenario to the interests of your users, you could talk about the feeling of leaving your home on Sundays to walk through the woods where you can see beautiful and wild animals, as this would make these users happy. You have to think first about their welfare, only after they are happy, you can think about reaching your goal. You should create a connection between you, as a brand, and them, as potential customers. Therefore, it is important to emphasize that if you want to connect with your users in a special way, you don’t need to share their ideas, you only have to respect them; in any case, you know that opposing poles attract. What you have to do is respect them as they are, what they like, what they hate, what their interests are, their preferences. This way, you can offer them valuable content. At some point, you probably already lied that you liked something or you have shown a compelling interest in a topic that doesn’t really interest you, just to impress that special someone. All to try to charm that special person. The opposite is also true, we learn to ignore some things, to avoid rejection. Being honest, on several occasions we even renounce our personality, to be well accepted in a group of friends. The first cigar, the first rude word, the first time we lied to our parents, we did those things to try to become part of a group of people. All these are subconscious acts that we should understand and start using in our professional field, because marketing is a very human science based on people’s behavior. After all, our consumers are just like us, people. Once we have it clear, understanding our potential consumers will not be so difficult, it’s like forging a friendship; initially, you show what you want, what you know that the other party will like, but when you cross the barrier and you gain the confidence of the other person, no matter what you say or do, this relationship will last forever. No matter that Apple has the most expensive products on the market, its loyal customers always will buy them, even if they are excessively costly when compared to other products, they will forgive almost anything, because they love the brand. Your products or services have to be for the user, as a drug for addicted people, if they don’t have it, they can’t breathe. In today’s world, you should keep in mind that consumers are characterized by being lovers of flexibility and constant change. Therefore, the buying process has changed. Nowadays, it can start anywhere, not necessarily in a store. Consequently, it is so important that users know that you are always available for them. It’s time to activate the lever of your consumers’ subconscious emotions. The way to do that is to get their minds to establish a relationship of your brand with a characteristic element or feeling, the stimulus that will cause them to remember you unconsciously. For example, Coca-Cola works with happiness, Apple with elegance and minimalism, etc. You need to learn to play with the senses to awaken the unconscious desire to want something. Sensory marketing, in this sense, plays a fundamental role, since scientists have discovered that the activation of certain sensations through certain stimuli leads us to act unconsciously, as we are being induced to do something, such as buying a product. The touch, the power of feeling the products on our hand, we kind of feel, if just for a moment, that the products are ours. We like them so much that it hurts to go home without them. Each time you open your inbox, 80% of the emails are not of interest to you. Relax, you’re not the only one. So you’ll know how hard it is to get open rates good enough to be effective. Obviously, to stand out from your competitors, you should set the main goal, to know what you want to achieve. However, the way to do this is to apply neuromarketing. Although neuromarketing is based largely on scientific studies, at the end of the day it’s about putting us in the shoes of our customers, to try to understand how to help them effectively. If you know what they want, you’ll know what to offer them. That is, less reason and more heart. You should try to analyze your feelings, to determine the best marketing strategy you can use to create engagement with your customers. The brands that are best positioned in the market like Apple don’t necessarily offer the cheapest products. One more proof of what we have said before, the fact that they choose you and not one of your competitors doesn’t have a rational explanation; it is an emotional and unconscious choice. The intense relationship that Apple reaches with its customers goes beyond the products they sell. If you talk to some followers of this brand, they probably will not be able to describe their feelings with the right words, but we can explain this phenomenon through neuromarketing. This brand was, is and will always be a leading force in this science. To win here, we should bet on naturalness, that is, on simplicity. You have to be aware that you only have space for a few characters in the subject line of your email, but you have a lot to say. Be direct, because this will help users to decide whether to open the message or not. But you will have to analyze the most primitive thinking of human beings to understand what motivates us to act. For example, by nature, we like to be the first ones, we always want to win, and we hate when we lose. Most of us would be furious to discover that we might have to pay more for a product that we could have bought at a lower price if we had waited for the right moment. Also, we like to feel unique, because we think that we are irreplaceable. That’s why messages like: “You could buy this product before your friends,” or “Save 20% if you buy before Thursday” or “Discover the secret to… Only the first 50 customers will receive this exclusive information “, generate engagements and interaction with customers and increase open rates. Another tool that works very well is the art of storytelling. You could add a subject line that is the beginning of a story, as it will generate uncertainty in your readers, they will be curious to know what happened. We are curious, even if we don’t like to admit it out loud. If someone starts to tell us something and stops, we will want to know what happened. We don’t like to think about what would happen; we always want to have the solution. This explains why the best way to optimize a newsletter is to include the first lines of a story that your subscribers can read on your landing page. Once again, we understand the impact of the cost of opportunity in consumer behavior. We are so saturated with receiving stimuli that, at the moment a variation is produced, i.e., an increase or reduction of incentives, our attention is grabbed, allowing us to be guided by impulses motivated by the emotions. Silence today is one of the best ways to grab the attention of our audience. In a world so noisy, silence always surprises us. This fact explains the importance of “getting to the point” in these emails; you should be direct, clear and concise. This combination will ensure your readers will click to visit your landing page, which is your main goal. 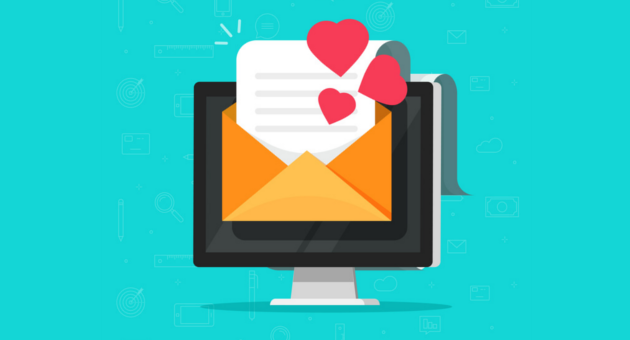 After breaking the first barrier with a simple and direct subject line, in this part, you will have to transmit emotions that convince users to continue relying on you, so that they give themselves completely to you, body and soul. To really create engagement with them, you should include valuable information on your message. You should create useful and original content for your readers; they should know that when you contact them, they should stop and read your email because it will be relevant. If you do that, they will always click on your landing page. Yes, don’t just rely on technology and design because it is not always guaranteed that the email will be displayed as you see it on the screen. It’s better to dedicate your efforts to improving your landing page where these problems don’t occur. To create engagement and attract your subscribers, you should use a call to action by email, don’t overdo it. It has to have a high level of visibility, so the colors, the typography and, above all, the message has to be very striking, simple and direct. No one likes complicated things! In email marketing, you should always include a link to the landing page at the bottom of the message. This will ensure the conversion of your users into customers. The landing page has to be your weapon to seduce and impress your subscribers. To do that, all information must be very well organized. Your goal is to create a page with the most relevant features of your product or service, to convince users to trust you. In this final part of the race, you should make your value proposition clear. Why are you different from the others? And, above all, why should they buy from you and not from your competitors? Use affirmations that will excite your readers, to convince them to move forward. You should work with colors that define you, everything without losing your personality, which is what actually makes you unique. Remember that less is more. You can’t stop adding all the information to achieve your goals, but don’t be shy or you will confuse the visitors to your landing page and they will forget the reason why they are on your site. From insight to extrinsic analysis, from the inside out, This is the right method to connect your brand with your customers. You need to work with emotions to generate stimuli that will convince your customers to trust you. These stimuli can be generated through emails that awaken their feelings!